William Henry Patterson was born in the Germantown section of Philadelphia in 1854, the son of Joseph Patterson and Lavinia Horstmann. His early education took place at a day school in Germantown, a Moravian school in Litiz, Pennsylvania, and Dr. Faire’s Classical Institute in Philadelphia. He entered the University of Pennsylvania in the fall of 1872. Patterson (known as “Harry” at College) was elected a member of the Philomathean Society and Phi Kappa Sigma fraternity during his freshman year. He served the Class of 1876 as a member of its executive committee during his first three years and as historian in his senior year (his class history begins on page 7 in the 1875 yearbook). As an athlete, Patterson was a charter member of both the University Athletic Association and the College Boat Club, serving as its second vice president as a freshman and sophomore, as its treasurer as a junior, and as member of the electing committee as a senior. He also played baseball on both his class and the varsity teams from his sophomore year on; during his junior and senior years he played on his class cricket teams as well. After graduation, Patterson studied law in the office of John C. Bullitt, supplementing this apprenticeship with courses in the University of Pennsylvania Law School. After being admitted to the Bar in 1878, he practiced law with H. Gordon McCouch. In 1885 he left the practice of law to enter business, employed first as general manager of the Lynchburg Iron Company in Virginia before moving to St. Paul, Minnesota. Here he was first the director and treasurer of the St. Paul Gas Light Company and then the president of the Thurston Cold Storage Company. In 1896 he moved to New York City to become the vice president of the Standard Coupler Company and then, in 1899, the chairman of the board of directors of the McCord & Company Corporation. In the last years of his life, he was also vice president of two other companies, the Illinois Car & Equipment Company and the Stirling Metal Company. 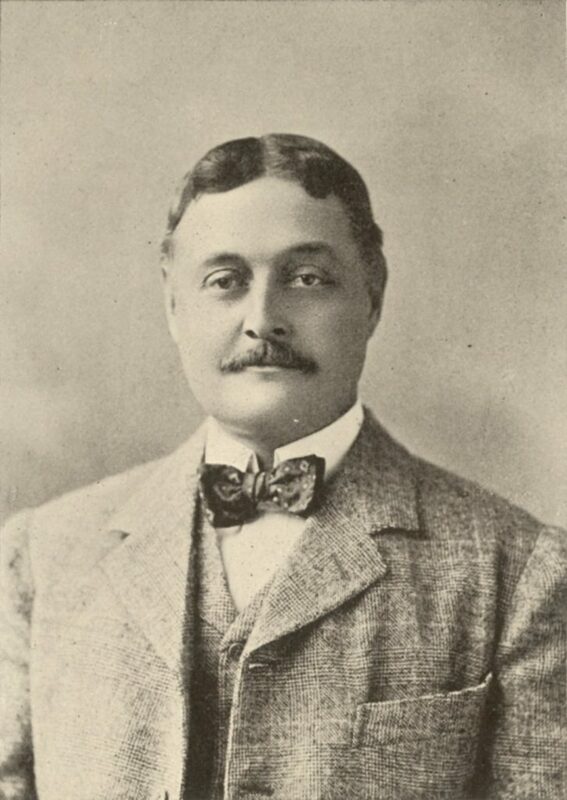 Patterson belonged to numerous clubs, including the University Club in Philadelphia and New York, the Maryland Club in Baltimore, the Town and Country Club in St. Paul, the New York Yacht Club, the Racquet and Tennis Clubs of New York, the Garden City Golf Club on Long Island, and the Ardsley Club in Ardsley-on-Hudson. Patterson, who never married, died in New York City on November 18, 1901.